There is no joy in rejection, especially when it comes to a credit card application. 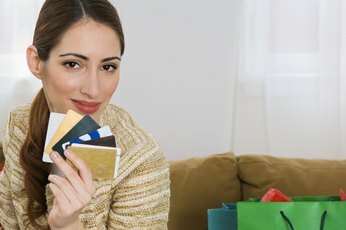 Not only do you miss out on some spending power, the rejection usually means there's something amiss in your credit reputation. Generally speaking, a denial means the card issuer believes you're a credit risk. If it does happen to you, it's your responsibility to find out what happened and how to fix the problem so it doesn't happen again. 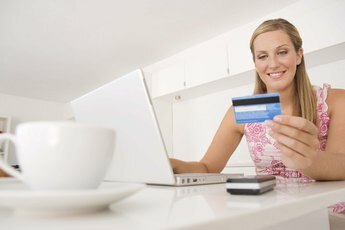 Your credit score is typically the main reason you get denied a credit card, according to DebtSteps.com. Credit ratings are compiled by Equifax, Trans Union and Experian. Their ratings reflect your credit history, current balances, and show potential lenders if you've had any defaults. Each card company has its own guidelines to evaluate your score, but few turn down someone with a score in the very good to excellent range. A June 2011 Forbes.com article said American Express only approves borrowers with scores of 740 and higher on the standard 850 point scale. Your payment history affects 35 percent of your credit score, which makes it the most critical factor. Lenders closely evaluate your payments to see if you have a history of late or missed payments. Regular payment problems worry potential credit card providers because they figure you'll have similar issues with a new account. The amount of debt you have in relation to the amount of credit available to you is a brief way of defining debt utilization. It matters a lot to the credit people since it accounts for 30 percent of a credit score. 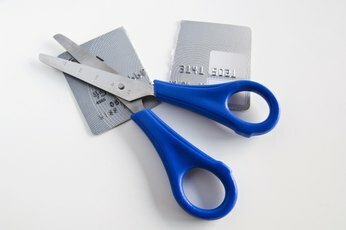 In a June 2012 article "The 10 Reasons You Couldn’t Get a Credit Card (And How to Fix Them)" for LearnVest, Gerri Detweiler claimed providers like to see debt-to-limit usage below 30 percent on each card. If you want to scare off the credit card companies, fill out a lot of applications at once. You may have good reason for multiple inquiries, especially if you move or make several major purchases in the same year. However, the credit card companies can see it as a sign of desperation. Filling out just one to three applications in a 12-month period limits your risks for this type of denial. Credit card providers ask for your annual income for a good reason. If you don't make a lot of money, or you don't make enough to cover your other debt commitments, they will reject the application. Recent periods of unemployment, or recent job changes will also make the provider question the stability of your income. Some credit card denials are simply a result of mistakes. They could be errors you make on the application, or errors on your credit report. Get copies of your credit report and follow up with providers to uncover possible denials before they happen. 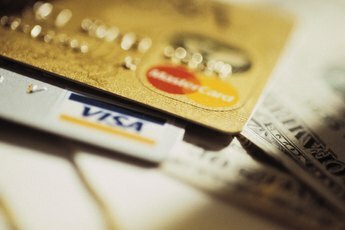 DebtSteps.com: Credit Cards Guaranteed? Don't Believe Everything You Forgot to Read. What Are the Negative & Positive Perspectives of Using a Credit Card? Does Being a Co-applicant Improve My Credit? How Long Should You Wait Between Credit Cards?